Bus stops in front of restaurant. Live entertainment every weekend during the summer season. Call to see who is playing this weekend! Chef Jorge Barreto is serving a new Jersey Fresh Menu each weekend this summer. From appetizers through desserts we have homemade dishes made from locally grown produce and fresh caught seafood. We also have our Assaggio! dinner menu available every night so you can enjoy your favorites. Our newest special is $5 BAR BITES at our bar Monday through Friday 4-7. Featuring "a Taste" of our specialties. Enjoy your BAR BITES with $3 Domestic Beers and $5 select drinks and wines by the glass. Come see and taste what everyone is talking about! We would love to cater your party or business event. You can order from our dinner menu or have it customized to fit your needs. We also have a range of banquet menus for your party or business dinner. Chef Michael Weiss can also whip up you favorite dish for you to wow your guests when you entertain at home. Contact us for your catering needs. The CAPRI Room upstairs at Assagio! is designed to create the perfect impression while accommodating your event's needs with ease and style: corporate luncheons and dinners, board meetings, seminars, pharmaceutical dinners, small weddings, showers and rehearsal dinners up to 45 people. Should your event require special services such as audio/visual equipment, flowers, special occasion cakes or balloons, Assagio! can make arrangements for you. We have our regular dinner menu which we can customize for your event as well as well-priced banquet menus available. Please contact us for more information about having your event in the newly renovated CAPRI Room. Assaggio! is now open! 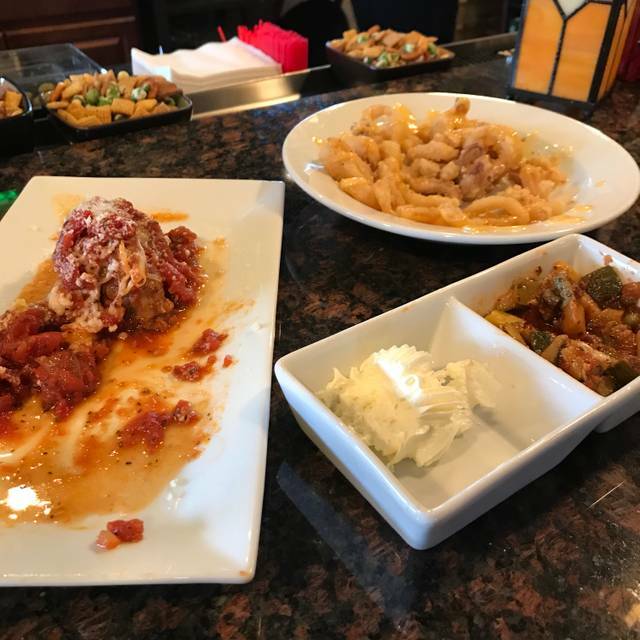 This newly renovated restaurant features many of your Italian favorites as well as imaginative new items and 27 Gluten Free Items on the menu. Join us for Happy Hour Mon./Fri 4 to 7pm $5 house wines, well drinks & apps. the bar is comfortable enough to have dinner and meet new people. 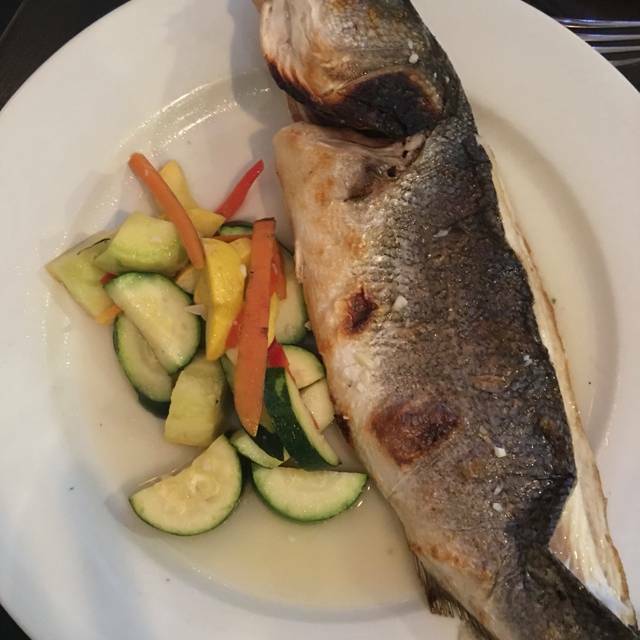 We use only prime meats and the freshest fish available. 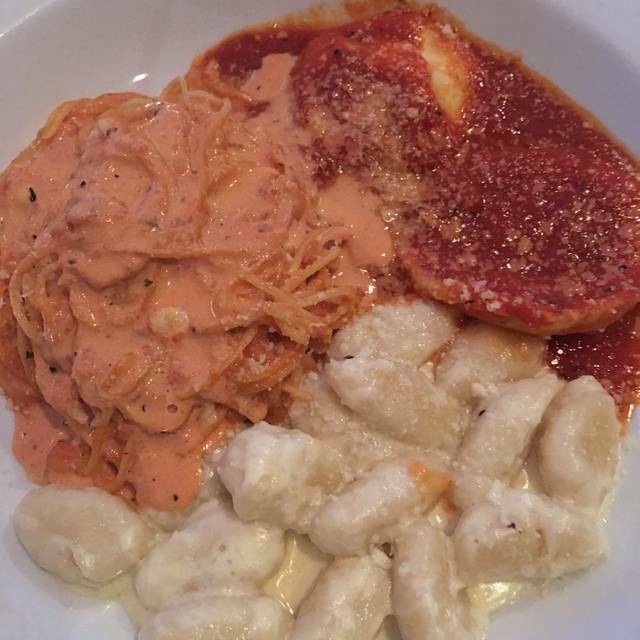 Our pasta and sauce are all homemade on the premises daily. intimate dining by the piano or for your parties. Come by Assaggio! and enjoy a Taste Of Italy. See you soon at Assaggio! Food was fantastic. Ambiance was great. They had live entertainment that was perfect for the occasion. I woul highly recommend this place for family gatherings or romantic occasions. I recognize that Assaggio specializes in fresh pasta, but kitchen needs to execute on other elements of menu. Canelloni main course looked good and M said it was very good with huge portion 1/2 of which was taken home. But then there were the issues like brown lettuce in salad with weak dressing lacking flavor. My wife ordered Chicken Parmigiana but got Veal Parmigiana delivered instead. The veal was awful both for my wife's meal and for D's. You need a better veal supplier to put this on menu. Bottom line is that we will not be back because it is not the quality of a desination restaurant. Crab cake was actually awful(not edible)- was total filler with little crab making the whole thing mushy. Had a wonderful time meeting up with a few friends after work. Great food & atmosphere! The owner was very pleasant & our bartender Danielle kept us laughing. Will definitely return! Had another outstanding meal at Assaggio!! Bravo !! wanted to try this place for awhile so thought restaurant week would be good time. Definitely will be back. Definitely too long in between courses. The calamari app wasn't fresh nor seasoned at all. Waitress was nice and apologized for being short staffed but overall felt not a good value for restaurant week. We were a party of 7. Restaurant is small and we were seated right where the musician was playing. He added a nice ambiance to the restaurant but it also made it hard to have a conversation. Overall, food and service was wonderful. A little pricey. We dined early on a Monday evening so the restaurant was quiet. The room is very small. The food was good but nobody at our table had any raves about anything that they ordered. We would NOT recommend the ravioli carbonara appetizer. Overall adequate but not memorable. Please never take the polenta with mushrooms off the menu! Or the cheese pie! This place is a hidden gem with amazing food and service! The most romantic evening on the calendar, valentines day! And it was almost ruined. My wife and I made reservations a week and a half in advance on Open Table. I included a special note letting the staff know that we are vegetarians and one person has a seafood allergy. On the restaurant website, they did mention a valentines day menu however ordering from the regular was an option. On the day of our reservation, my wife called to confirm our attendance and to again let them know that we are vegetarians and she has a seafood allergy. The staff member verified the reservation and reassured her that all was well. We arrived and we were seated. Seafood appetizers and seafood entree were on the menu. No options for us. Not even the option to speak to the manager. Hmm. On our way out the host offered us a rose and the hostess let us know that she would let the manager know. Like that would help us how? Disappointed....we were not able to order from the regular menu. Limited choices. We were seated upstairs while downstairs had live music. 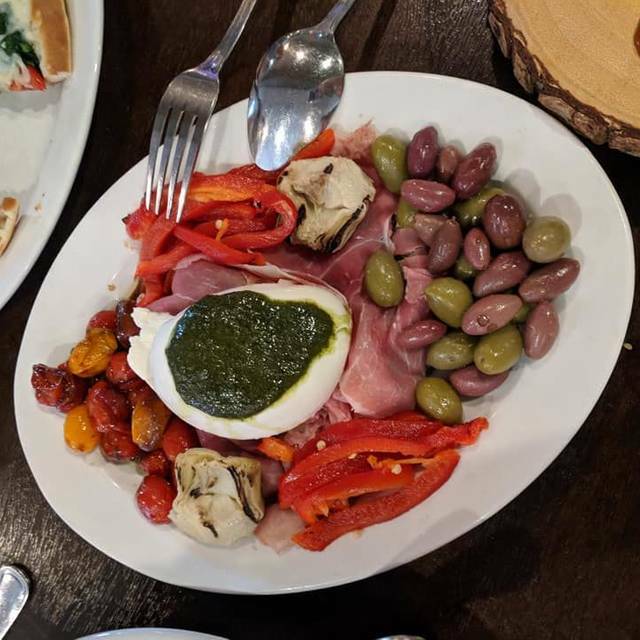 My husband's cesare salad was served on a HOT plate and service was barely adequate. Waitress never even told us her name. As it was Valentine's Day, it was very disappointing. Loved the entertainment, Mike was perfect accompaniment for a Valentines dinner. Food was delicious, only wished they had offered the ravioli with egg, that’s my favorite! Lovely evening! Dinner was great just as ever. The music byMichael Marano made the evening perfect. Loo to go there. Weeks in advance I made a reservation on open table for my parent’s 55th wedding Anniversary. One week before the date I called Assaggio directly to add a person to our reservation (from 4 to 5) and to make sure they could accommodate the extra person. The person I spoke to assured me we would be seated at a round table in the corner which seats five or six. When we arrived we were seated at a table for 4 with a chair added on the end. Closed in on all sides by other tables-completely unacceptable-especially with the age of my parents. The table (for 6) that we were guaranteed over the phone was occupied by an elegant single woman . Assaggios said that no one left a note in the book to reserve the agreed upon table. I am very confident that the hostess we met when we arrived was the same person I spoke to on the phone. We already finished our dinner before anyone joined the elegant woman sitting at that large table for 6. Only Two people joined her. We were smashed in and had a terrible dinner! Food was mediocre and ambience was frightful! We will never go back and we encourage others to stay away. This was our first visit to the restaurant while the couple who was with us had previously dine there a few times. We found the staff to be friendly as soon as we walked in. The mood and atmosphere were pleasant and they even had a musician playing music to dine by. Service was impeccable and the four entrees that we were served were wonderfully delicious and prepared well. The dinners do not come with a salad but do to the size you can easily order one and share it. It was a wonderful evening! Another great dining experience. Food was superb as usual. Just love the warm atmosphere. Loved the music Saturday night. Best cosmopolitan ever! Excellent food...consistent! Great friendly staff across the board. Very accommodating with substituting ingredients in our meals (I’m picky). We’ve dined there twice but we were treated like we’ve been dining there for years! It was pretty good, but not as good as in the past. It was a little loud when we got there, but the guy playing the sax settled down and was very good. I guess it really depends on what you order as my entree was not so good but my dates was excellent. 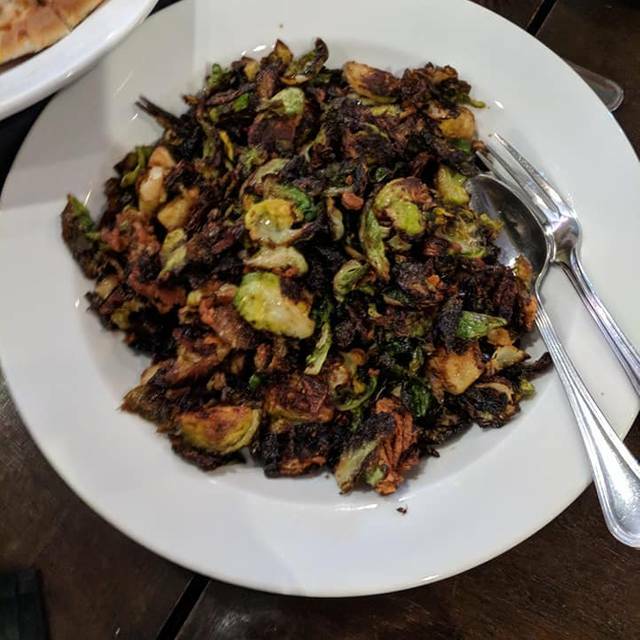 It was absolutely amazing, the waitress Emily was fantastic, very very friendly and attentive, the owner even came over and asked how everything was, she spoke to us for a bit, I though that was great, I will be going bsck, totally recommend it!! Wonderful food & drink !! Chef spoke to us about the dessert !! The food was wonderfully delicious and creative. We loved the way the bar was tucked in to the cozy dining room and look forward to visiting again! Great food, service, clean, soft lighting, quiet. Best surprise was soft live guitar music. Last year I went tony marts had a group and Billy Walton band performed. I t was exceptional evening! Years ago (tree figlios) offered the best Norwegian green mussels, they were my favorite appetizer s! Feast of Seven Fishes was great! Service was great. Music was great! This Restaurant is always a great place to go. Service is always great, Food is excellent, IT just feels good when we go. Weekends usually have some kind of live music. Food was good went there for 7 fishes.Was my second year for that maybe next time they can do a all you can eat 7 fishes. Wife says "very good". She also recommends the ravioli carbonara. Nice experience, nice ambiance and nice meal. Soft and jazzy live guitar. Recommended. Thank you Vincent for taking the time to give us a nice review. It is well appreciated. Thank you for taking the time to give us such a good review and 5 stars. Wow! sorry that it was so disappointing, I want everyone to have a good experience. 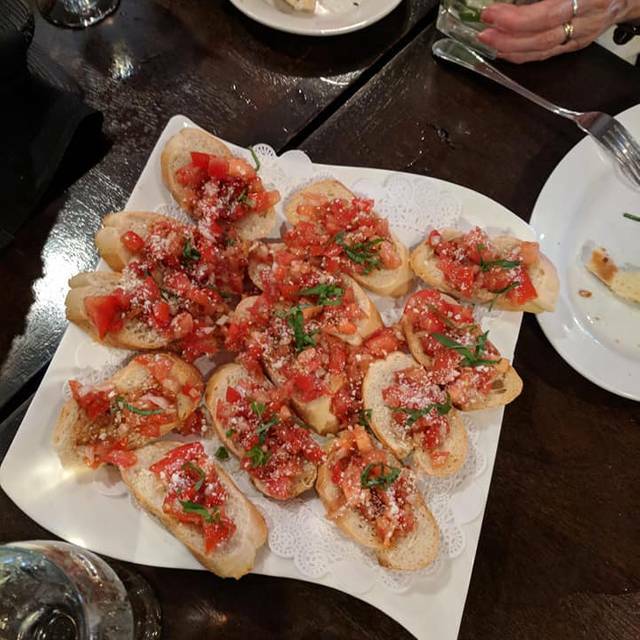 Assaggio is our go-to when we want a nice evening out! The staff is fantastic, warm and welcoming. The bar offers great specials and is a lively and fun spot to gather. Dinner offering are fantastic, with interesting specials and solid tasty standards on the menu. We love it there! Wide selection of foods creatively prepared. Homey atmosphere. Owner visits each table and is genuinely interested in knowing whether or not you had a positive dining experience. Wait staff is attentive. Musical entertainment on weekends adds a nice touch. See Full Restaurant ListMake a Reservation at Assaggio!